Something about green frogs eating gross bugs is very entertaining to children. 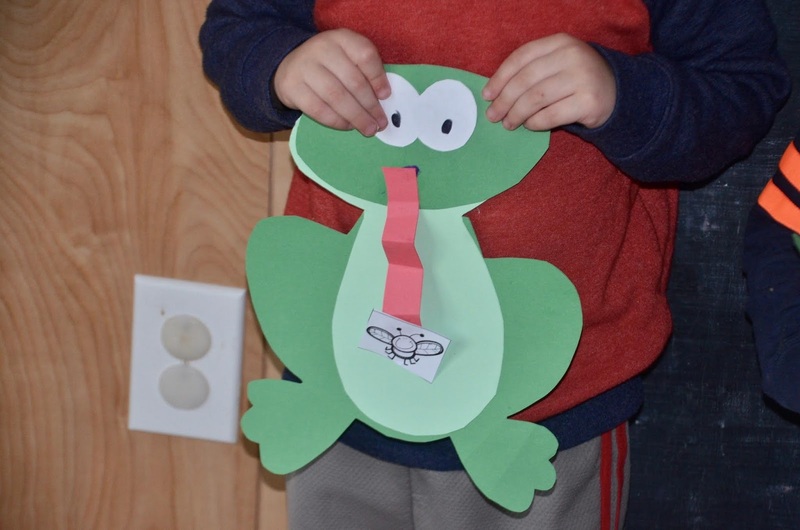 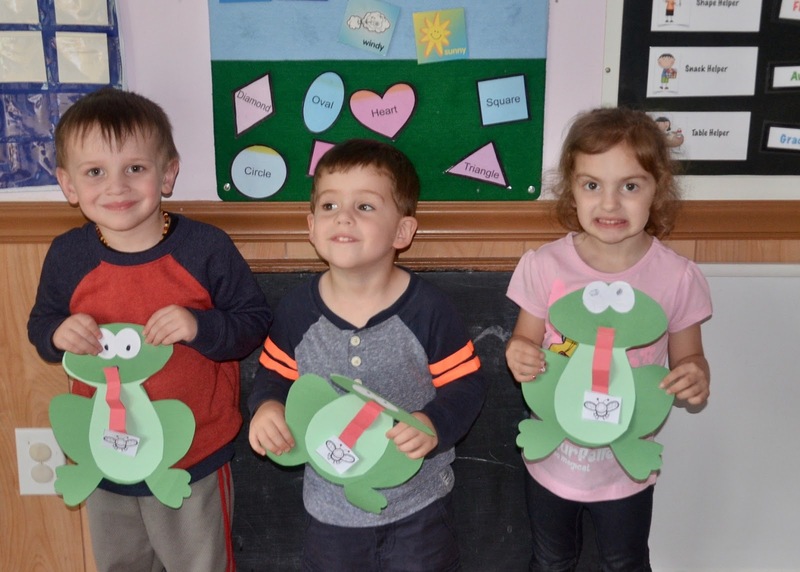 The loved making their own frog with a bug hanging on it's tongue. 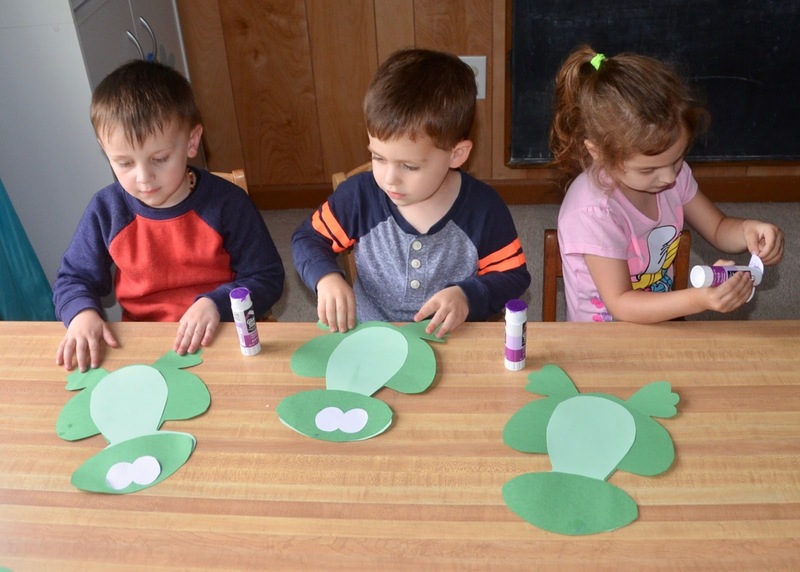 The kids singing 5 Speckled Frogs HERE to the song from the video below.